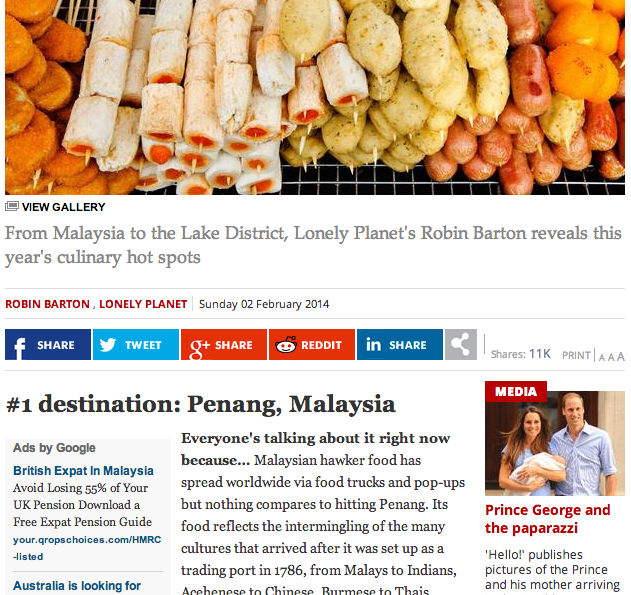 Lonely Planet's commissioning editor Robin Barton listed Penang as his number one culinary hot spot for the year 2014. 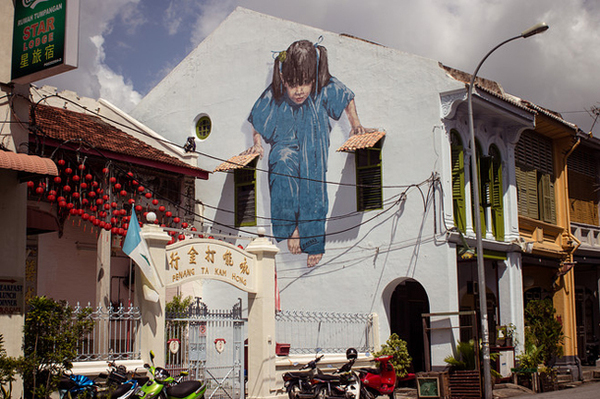 Lonely Planet's commissioning editor Barton listed Penang as his number one destination in an article titled 'Where are the foodies going in 2014?' 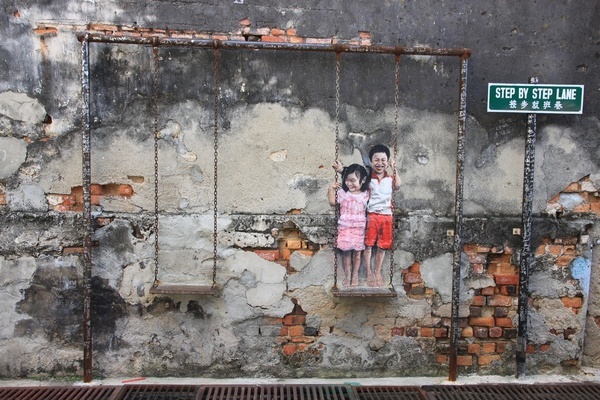 that was published on the UK's The Independent. 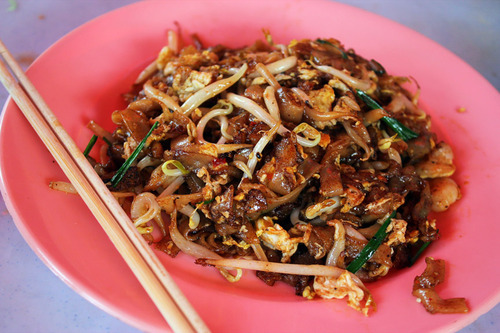 Lonely Planet's commissioning editor Robin Barton said Penang was known for its hawker fare and the "must tries" were char kway teow, Hokkien mee, and asam laksa. 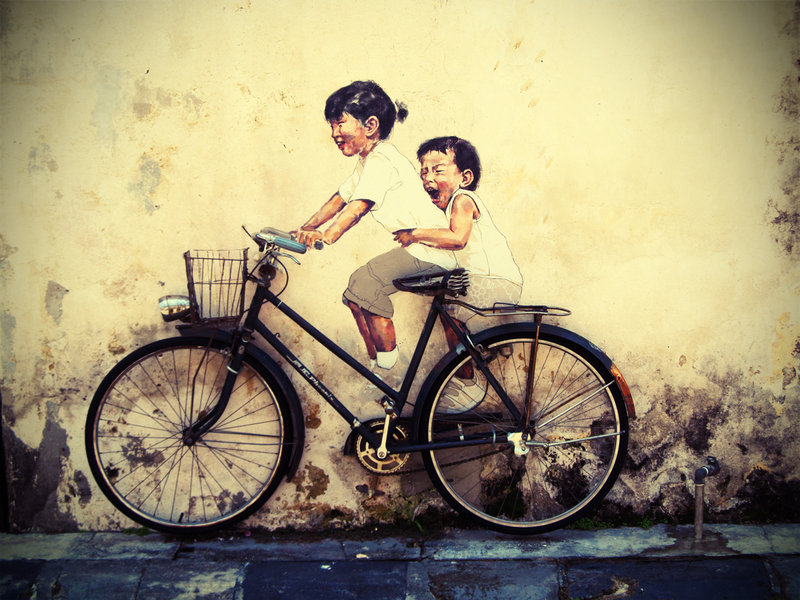 The List Was Published On The Website Of British Newspaper 'The Independent' Titled "Where Are The Foodies Going In 2014?" 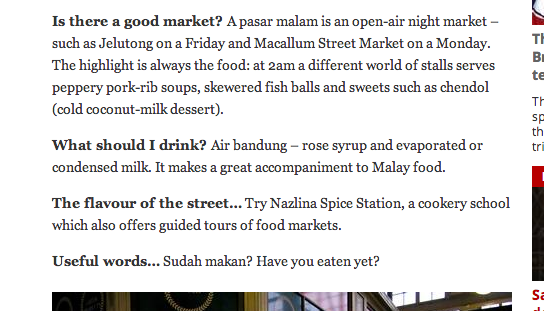 "Try Nazlina Spice Station, a cookery school which also offers guided tours of food markets...drink air bandung - rose syrup and evaporated or condensed milk. 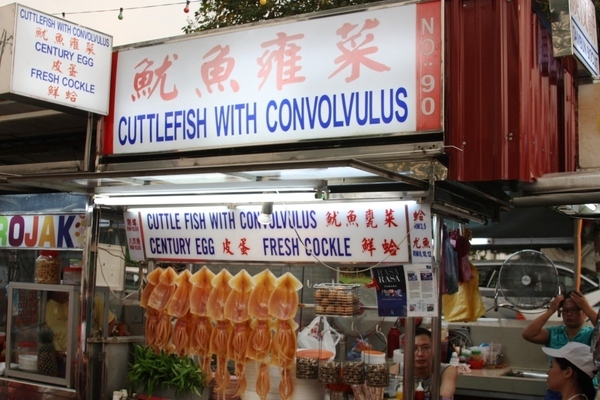 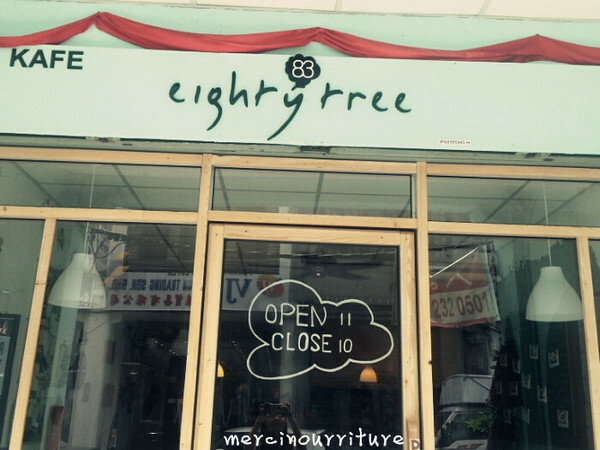 It makes a great accompaniment to Malay food." 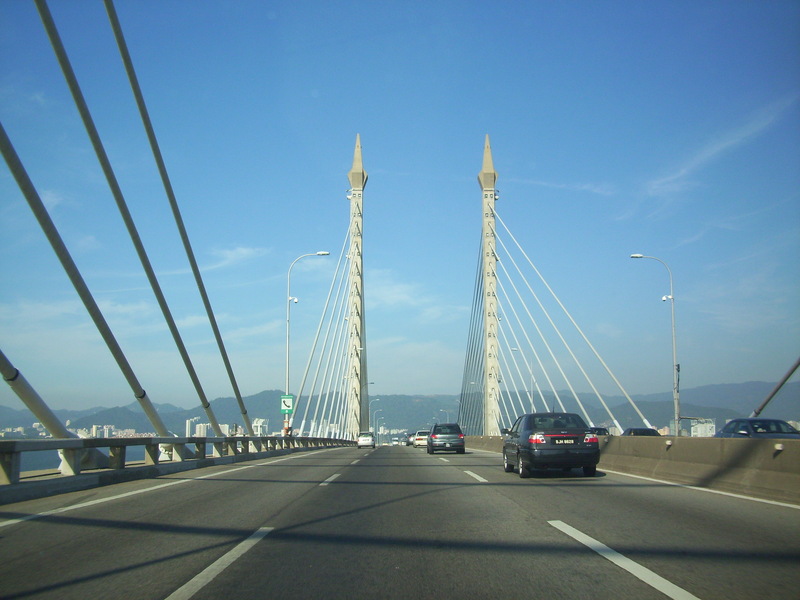 Malaysia was listed as top culinary hot spot for 2014. 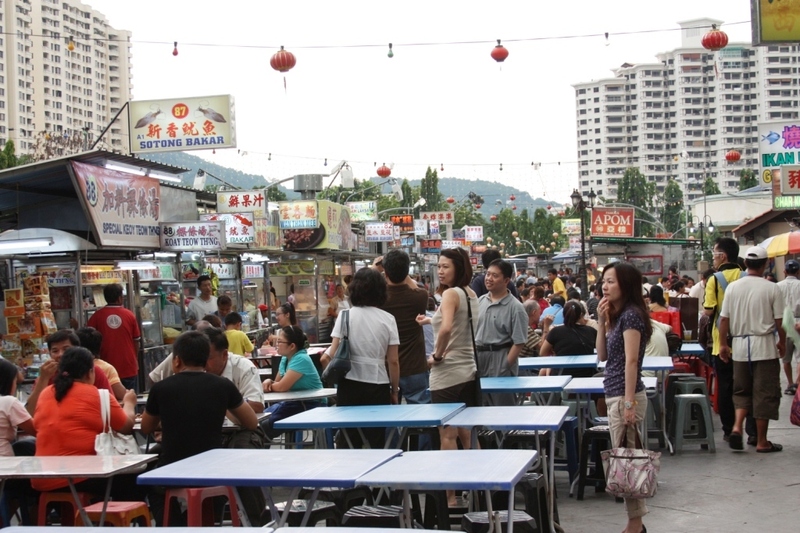 "A pasar malam is an open-air night market – such as Jelutong on a Friday and Macallum Street Market on a Monday. 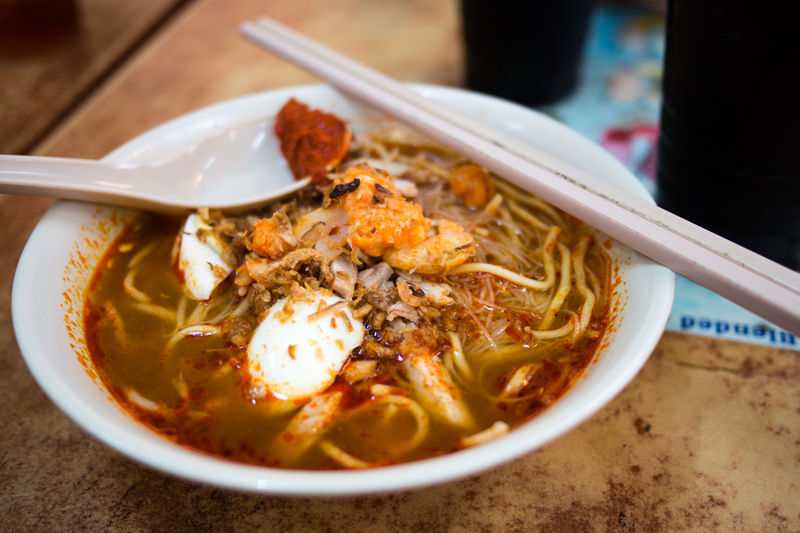 The highlight is always the food: at 2am a different world of stalls serves peppery pork-rib soups, skewered fish balls and sweets such as chendol (cold coconut-milk dessert)." 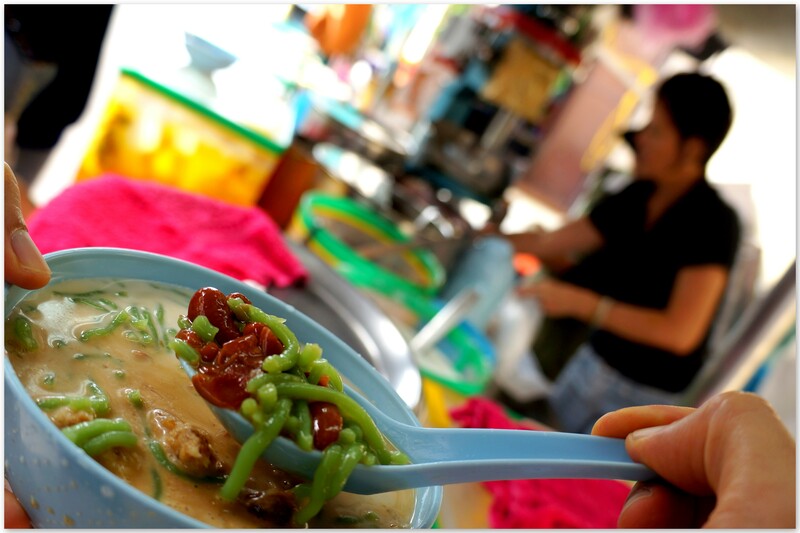 Gurney Drive Hawker Centre in Penang, Malaysia. The Pearl of Orient beat other top culinary spots like Victoria in Australia, North West Spain, the deep south in United States, Lake District in United Kingdom, Puglia in Italy, Georgia and Oaxaca in Mexico to bag the number one spot. 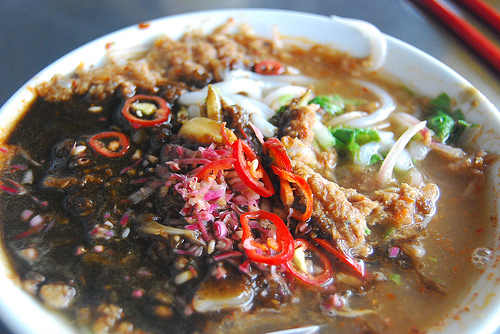 According To The Editor, Robin Barton, Visitors Should "Explore The Sprawling Esplanade Food Centre, Where Hawker Faves Combine Favourably With A Seafront Location"
To cool down, one should try the “air bandung” ― a concoction of rose syrup and evaporated or condensed milk which makes a great accompaniment to Malay food. 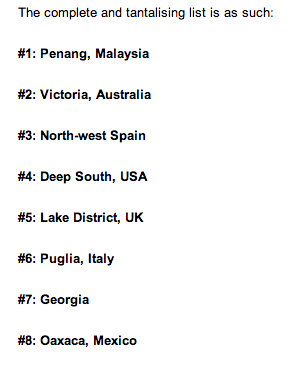 Excerpt of The Independent's report titled "Where are the foodies going in 2014?" But Said To Think Twice About Sago Grubs He Describes As "The 4cm-Long Larvae Of A South-East Asian Beetle"